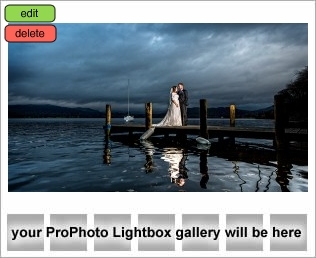 Helen & Mike were having a winter wedding at the beautiful Langdale Chase Hotel in Windermere. 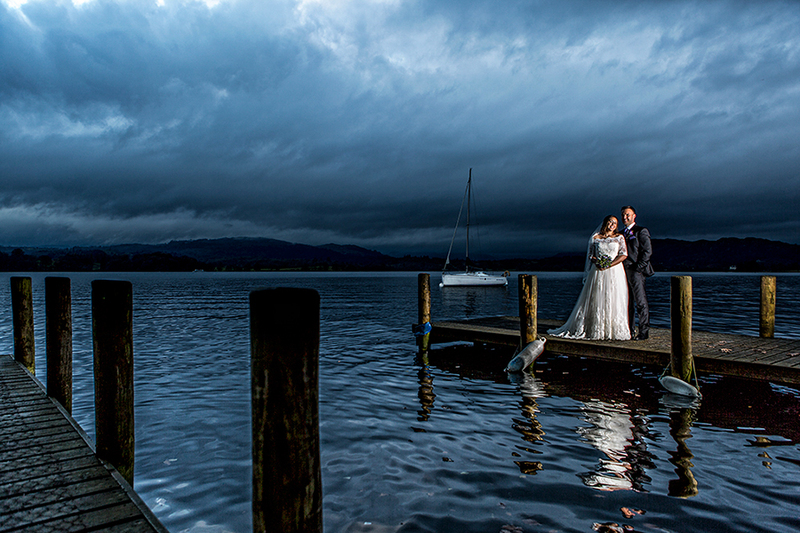 The weather in the Lake District is very unpredictable, and especially in the winter - we had to come well prepared! Helen was finishing her hair and makeup when we arrived for bridal prep photos. Everything was running to time and everyone was very calm and relaxed. 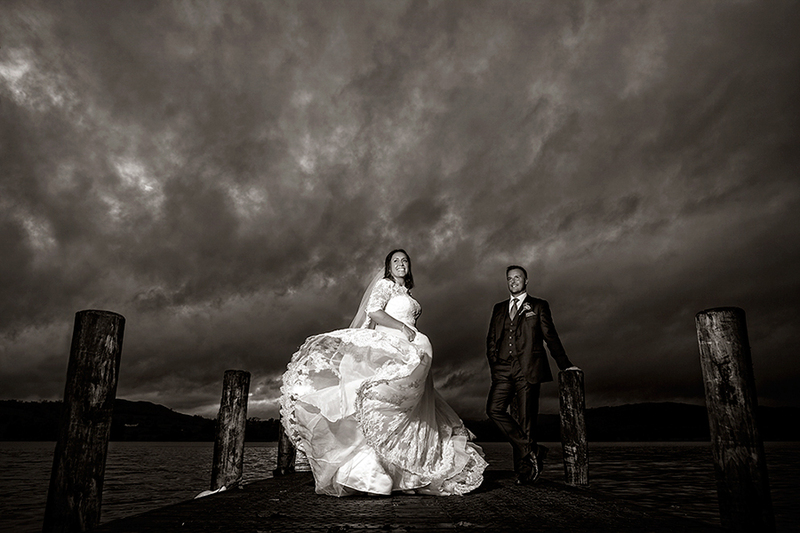 Helen’s suite had the most amazing view of Lake Windermere from every window. Helen was ready with time to spare so we headed downstairs to find Mike, who was happily placed at the bar having a little pre wedding drink with his best man. The grand staircase was twinkling with fairy lights and candles as Helen made her way down to Mike. With just a hint of sunshine through the windows the ambience was just perfect. After a lovely ceremony, we made haste and took everyone outside for a group shot. Yes the weather was chilly but the rain that had poured down constantly for two days had now stopped and the low winter sun was making an appearance. We took this window of opportunity, so with champagne in hand, our newlyweds headed down to the private boat jetty for the must have shots of the day. Helen & Mike were absolutely brilliant, their pictures were so important to them, they were happy to stay outside until we had everything in the bag and then some. Even their family and friends were great sports and had all their family pictures outside on the terrace. 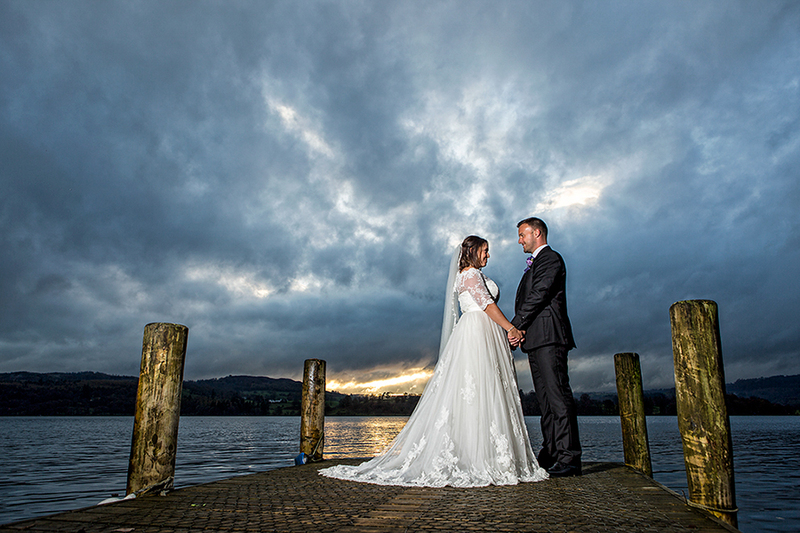 The day was moving along, the rain had now started again and the last of the daylight had gone so it was now time for our bride and groom to join their guests and head in doors for dinner. The log fires were roaring and champagne and speeches were next on the agenda before dinner was served. With just a little time before the first dance everyone had the opportunity to enjoy the surrounding of Langdale Chase, and to check out the band that was to perform later in the evening. We would like to thank all the staff at Langdale Chase who helped to make Helen & Mikes day perfect, and as always for looking after us so well.